Studying abroad in a country where you don’t speak the native tongue may sound scary at first. But according to College of Public Health and Human Sciences students who participated in the Fu Jen University Exchange trip to Taiwan, it’s an experience of a lifetime. 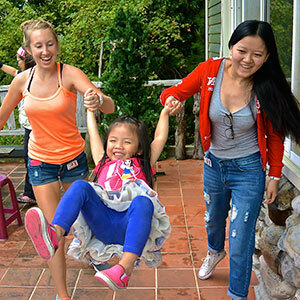 “This trip changed my life and was the highlight of my four years at Oregon State,” says Human Development and Family Sciences (HDFS) student Sarah Okimoto, who studied abroad in Taiwan in Fall 2014. 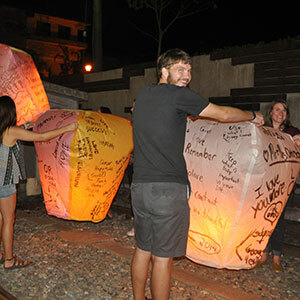 As part of the CPHHS/Fu Jen University (FJU) Exchange Program, 10 CPHHS students, a graduate teaching assistant and a faculty member travel to Taipei, Taiwan every other year, where they immerse themselves in the Chinese culture and experience firsthand the differences between the two living and learning environments. When Oregon State students aren’t traveling to Taiwan, Fu Jen students and faculty members travel to Oregon to attend OSU and Linn Benton Community College classes and tour local organizations related to human services, health and nutrition. 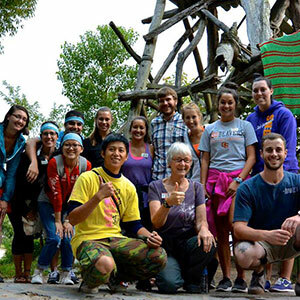 The college is currently recruiting for the 2016 exchange, where students will begin a 10-week journey of a lifetime, while earning 16 OSU credits. In addition to taking college courses, students get the opportunity to travel around the country during off-site visits, field trips and self-guided explorations. Students interested in applying for the 2016 exchange are encouraged to do so by February 1, 2016. Only 10 spots are available. Applications are available online through the OSU Office of Global Opportunities – preference is given to CPHHS students. 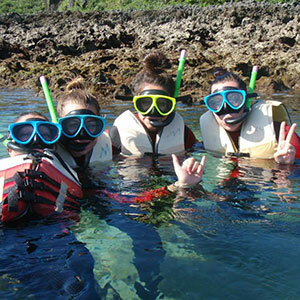 Once chosen to participate, students will begin preparing for the trip during spring term. They will make travel plans, complete activities designed to develop group cohesion, learn about Taiwan and hear about expectations and activities they will encounter on the trip. They will also have the opportunity to participate in activities with a group of 10-15 FJU students and faculty who will visit Oregon State during Winter 2016.